Today Skype upgraded its iPhone application to version 2.0. The biggest new feature is that the application now permits Skype calls via AT&T's 3G network. Previously, calls would only work via Wi-Fi. According to Skype, Skype-to-Skype calls will be free via 3G until August. After then, it says "a small monthly fee will apply." Skype-to-Skype calls have always been free from PCs. Other new features include "near CD-quality sound" using wideband audio, a better call quality indicator, faster start-up time, and faster access to the dial pad from the home screen. Skype 2.0 for iPhone is a free download from the iPhone App Store. We imagine that there will have been an inordinate number of sick days claimed yesterday in Australia, Canada, France, Germany, Italy, Japan, Spain, Switzerland and the UK, as the iPad went available for sale in the aforementioned nations. The price of the device, as well as data plans for the 3G model, vary greatly from country to country, so if you’ve not already done so, hit up your respective online Apple webstore to check out how much you’ll need to shell out to become the laughingstock envy of your neighbors. Also let us know if you’re outside the U.S. and finally got an iPad! It looks like those private beta rumors earlier this month were legit, seeing how Sling Media is now officially showing off its latest SlingPlayer Mobile incarnation on HTC's lovely EVO 4G for Sprint. The company is boasting that the app has the fastest load time of any version of SlingPlayer Mobile to date -- and we can't imagine that WiMAX hurts, either -- so this should be the perfect accessory to your EVO 4G purchase when the phone launches early next month. It's not clear yet what other Android devices will be compatible with the software, but we imagine Sling will be saying more soon, so stay tuned. In an internal communique to employees this evening, Rogers announced that it has launched the BlackBerry Pearl 3G. Now en route and expected to arrive at dealerships across the country over the next few days, Rogers has priced the Pearl 3G at $49.99 on a 3-year contract with voice and data or $449.99 outright. Anyone planning on picking one up this weekend? UPDATE: According to another Rogers connect, the device is now showing up in Rogers’ system with a promotional price of $29.99 on contract. Hit the jump for a screenshot. We know, Tour owners -- you're so ready for a little WiFi in your life that you could quite literally scream. Go ahead, let it out! There, doesn't that feel better? No? 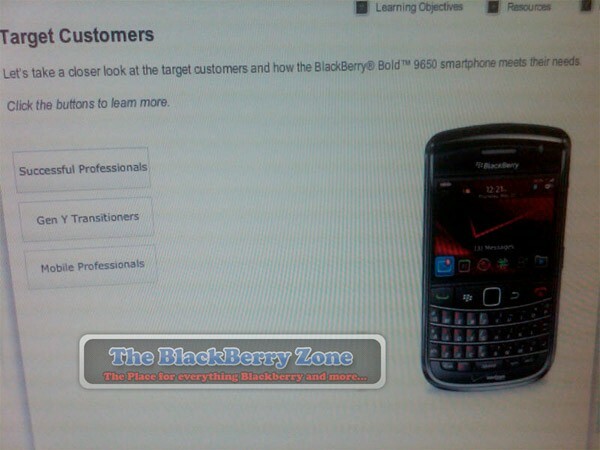 Well, maybe this will: new shots out of The BlackBerry Zone suggest that Verizon sales reps are being actively trained on the Bold 9650, adding to a trail of evidence over the past month from a variety of sites that the phone is coming shortly. It certainly should, considering the relative importance of BlackBerrys in Verizon's lineup and the fact that Sprint now has it at retail, and it's still possible that documentation on CrackBerry last month pointing to a May 27 release -- that's this Thursday, for the record -- is accurate. We'll know soon enough, but in the meantime, treat those old trackballs with care, alright? Effective as of Tuesday, Walmart has announced that it will be cutting the 2-year contract price of the Apple iPhone 3GS to $97. Walmart would have you believe that the drop in price is nothing more than it making good on its “commitment to always lead on price”, but it’s not as if we don’t know exactly what’s going on. To us the question still remains: Will the iPhone 3GS pick up where the soon-to-be-discontinued iPhone 3G is going to leave off, or does Steve Jobs have “one more thing” up the sleeve of his St. Croix mock turtleneck? Clearly a white front plate was not enough to satisfy curiosity. 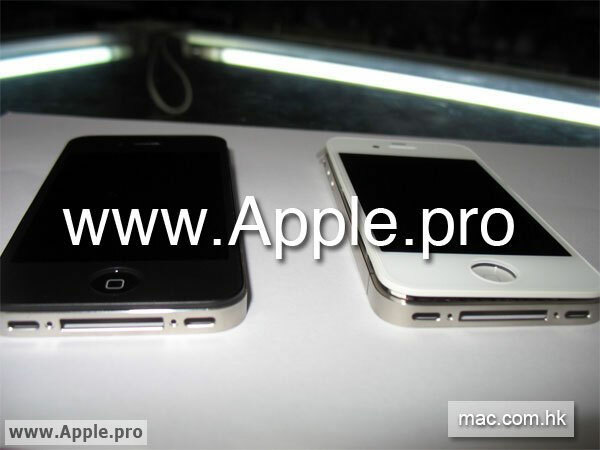 Though we aren't able to verify this ourselves, Chinese site Apple.pro has a couple shots of what it claims to be the white next-gen iPhone, almost fully assembled (the front plate looks like it hasn't been snapped in all the way) and casually lounging next to the black model we've gazed upon so many times at this point. Is this enough for us to trust and comfortably change our palette preferences? Nah, but surely 15 days until expected confirmation can't be too excruciating of a wait. [...] if your phone was launched this year, we will most likely offer an upgrade for it to the Froyo version. This includes popular models like the Desire and Droid Incredible as well as hotly anticipated phones like the Evo 4G, MyTouch slide and upcoming models. We will announce a full list of phones and dates once we are closer to launching the upgrades. We are working closely with Google and our other partners to ensure we have the earliest access to everything we need to provide a complete and solid Sense experience on Froyo. We expect to release all updates in the second half of this year but can’t be more specific yet. Most likely? Uh oh. We’re hoping that the shadows of doubt placed upon the Desire, Droid Incredible, EVO 4G and myTouch 3G Slide can be attributed to poor choice of words, but what about the Legend? Better yet, what about the Sprint Hero (October 2009) or the Verizon Droid Eris (November 2009)? If you thought people put up a stink about how long it took the Sprint Hero to get bumped up to Android 2.1, prepare yourself. There’s no telling what the Android Army is capable of. 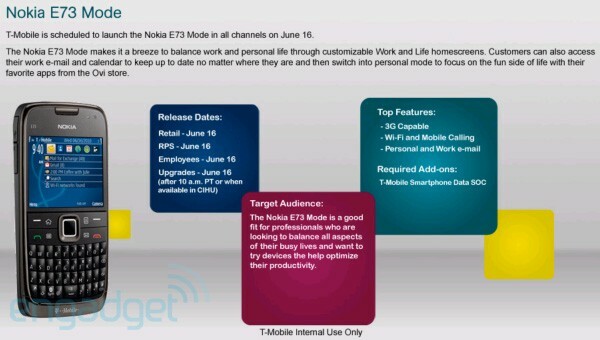 Nokia E73 'Mode' coming to T-Mobile next month? This is totally out of the blue, but we were just hit up with a screen shot suggesting that T-Mobile USA will be launching a portrait QWERTY handset from Nokia on June 16 known as the E73 'Mode.' As is evidenced with the Nuron, T-Mobile has a tendency to assign trademarkable names to Nokias in its lineup that are known elsewhere in the world by their model number only, so we imagine that this phone will end up launching globally simply as the E73 as it takes over the E72's throne as Espoo's top productivity beast. Whether you’re a genuine iPhone developer or someone who just paid $10 to have someone add your iPhone’s UDID to their developer account, you should be pleased to note that Apple has just released iPhone OS 4.0 beta 4. No changelog has been release, but just like the last time, we’ll be back if we spot any. Well, well, well, look what we have here. No, it’s not some Chinese knockoff of the Desire — it’s the entry-level Wildfire, announced today by HTC. Running Android 2.1 with HTC Sense UI, its key specs include a 3.2″ QVGA display, 5 megapixel camera with autofocus and LED flash, A-GPS, Wi-Fi, Bluetooth 2.1 + EDR, microSD, dual-band (900/2100MHz) 7.2Mbps HSPA, 512MB ROM / 384MB RAM and 528MHz processor. One interesting feature the Wildfire brings to the table is its “app sharing widget” which allows users to recommend apps to family, friend and peers via email, SMS and social networking sites. The HTC Wildfire will be available in Europe and Asia starting in Q3. No word yet on potential U.S. availability. Yay or nay? An inadequate supply of parts is partly to blame for widespread shortages of Droid Incredible, Verizon Wireless CEO Lowell McAdam said on Friday. Having been unable to stockpile enough key components such as the WVGA capacitive display assemblies manufactured by Samsung, entire shipments of the HTC-made Android smartphone are selling out within hours of their arrival at retail stores. According to McAdam, the shortage is so dire that his company “had to pull way back” on deliveries in order to focus on online sales. Had there not been such a dearth of handsets available, McAdam said the Incredible would have outsold its predecessor, the Motorola DROID; some 100,000 units of the Incredible were sold during the first two days of sale. As of this morning, Verizon’s website claims that orders for the Incredible will be fulfilled by June 3rd. Japan's wireless networks have a longstanding, legendary reputation for existing in some parallel plane that's technologically light years ahead of the rest of the world, but that reputation's unquestionably in greater danger today than in any point in the past fifteen years. Why? Though the featurephones offered by NTT DoCoMo, SoftBank, and KDDI are ultra high-spec beasts, they're still featurephones at the end of the day -- and this comes at a time when smartphones are finally becoming true cultural phenomena across the remainder of the developed world (and, in some cases, the developing world). 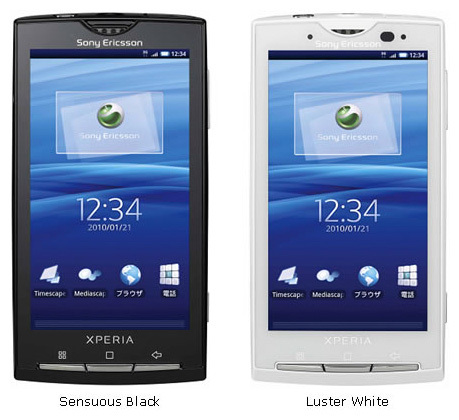 There's no greater evidence of this than the word this week that Sony Ericsson's Xperia X10 -- a phone that's been met with lukewarm reviews, including from Engadget Japanese's own Ittousai -- has allegedly become NTT DoCoMo's best-selling smartphone in history, a fact that would seem completely inexplicable in any other market globally. What makes it possible in Japan, of course, is DoCoMo's historically lame selection of true smartphones, a lineup that currently includes localized versions of the HTC Magic, and the original HTC Touch Diamond and BlackBerry Bold. What's more, many of these devices integrate poorly with popular carrier services on account of their super-tight control of the operating systems running across the featurephone lineup, something they've got less control over with a device running Android or Windows Mobile. In other words, when it's reported that DoCoMo had sold 100,000 X10s in its first 20 days -- and a third-party retailer claims that the Magic-esque HT-03A is the next best seller at 80,000 units in 10 months -- it seems plausible, if not likely (and Ittousai agrees). Yeah, even though the localized device has been plagued with performance problems and bugs, incompatibilities with DoCoMo's i-mode push email, and so on. It's hard to say what it's going to take for these guys to make an honest-to-goodness transition to the brave new world of open platforms and freewheeling third-party development, but they're clearly not there yet. Sure it only has 192MB of RAM, but according to T-Mobile’s VP of Product Innovation, the myTouch 3G will indeed be making the leap from Android 1.5 all the way up to Android 2.1. Due out at an unspecific time, the update should bring with it all of the usual Eclair goodies — alongside the tweaked Sense UI overlay and “Genius” button — as seen on the myTouch 3G Slide. 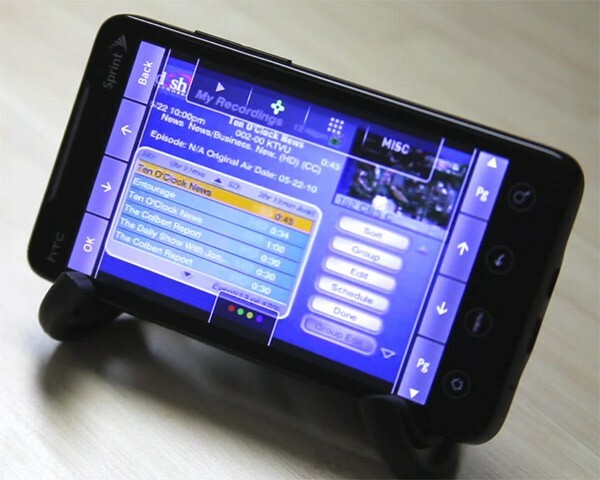 Exactly how the Genius button will work on the myTouch 3G is a bit of a mystery, considering it doesn’t have a physical button to spare, but we can imagine there would be some virtualization at play. Confirmed: Apple and AT&T signed five-year iPhone exclusivity deal -- but is it still valid? The term of Apple and AT&T's iPhone exclusivity deal has long been a mystery -- although USA Today reported a five-year arrangement when the original iPhone came out in 2007, that number has never been independently confirmed, and it's been looking suspect in recent weeks as Verizon iPhone chatter has gotten louder. But we've been doing some digging and we can now confirm that Apple and AT&T entered into a five-year iPhone exclusive in 2007, based on court documents filed by Apple in California. Read on! "The duration of the exclusive Apple-[AT&T] agreement was not 'secret' either. The [plaintiff] quotes a May 21, 2007 USA Today article – published over a month before the iPhone's release – stating, "AT&T has exclusive U.S. distribution rights for five years-an eternity in the go-go cellphone world." "[T]here was widespread disclosure of [AT&T's] five-year exclusivity and no suggestion by Apple or anyone else that iPhones would become unlocked after two years... Moreover, it is sheer speculation – and illogical – that failing to disclose the five-year exclusivity term would produce monopoly power..."
Now, this all went down in October of 2008, and while it's sort of amazing we hadn't seen it earlier, the real question is whether or not the exclusivity deal is still on the books. (The case is ongoing, but most of the relevant bits have been under seal since 2009.) Contracts can be canceled, amended, and breached in many ways, and AT&T's spotty recent service history plus the explosion of the iPhone and the mobile market in general have given Apple any number of reasons to revisit the deal. In addition, the two companies obviously hit the negotiating table again to hammer out the iPad's pricing plans, and there's no way of knowing whether that deal involves the iPhone as well. But it's nice to finally know for certain that AT&T's initial iPhone exclusivity period was booked until 2012 -- now we just have to see if all this recent chatter means something's changed. P.S.- Oh, and this case also covers some other relevant and controversial ground: the plaintiffs argued that Apple exerted illegal monopoly power over the iPhone applications market by barring third-party apps from iPhone OS 1.0, and the court ruled the argument was valid enough to go forward. Pretty prescient for 2008 -- we're guessing Adobe and the Federal Trade Commission are very interested in what's going down in California's Northern District right around now. 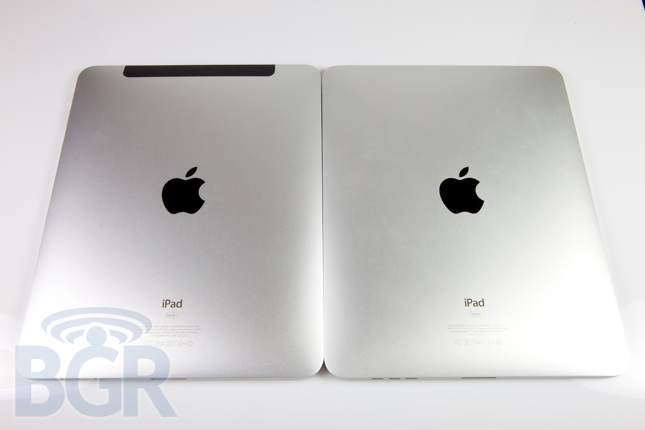 Live in Canada, the UK, Australia, France, Germany, Italy, Japan, Spain or Switzerland and want an iPad? Then break out your credit card and hit up your country’s respective online Apple Store, as online pre-orders for the smash-hit tablet that nobody needs, but a lot of people really want are now live. In Canada and the UK, the Wi-Fi model starts at $549 and £429 (inc. VAT), while the Wi-Fi + 3G model starts at $679 and £529 (inc. VAT). You’ll definitely be paying a premium over what the Yanks are paying, but it’s not as if you’re not already doing so for everything else you own. MetroPCS announced its first quarter 2010 results. The regional, pre-paid carrier has more than 7 million subscribers. By comparison, Sprint's Nextel arm of post-paid iDen subscribers has around 6.8 million. MetroPCS has already announced plans to roll out a 4G LTE network in select markets later this year. 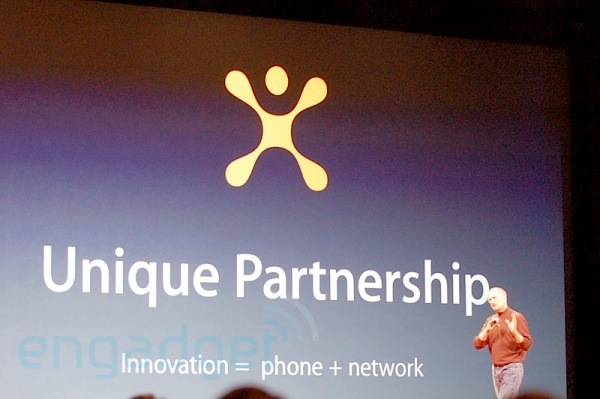 Motorola rumored to have acquired Azingo, part of some grander OS plans? This one isn't official just yet, but if some changes in employment status on LinkedIn is any indication, it looks like Motorola may have recently acquired mobile Linux OS company Azingo. It may not exactly be a major player in the mobile OS field, but its Linux-based Azingo Mobile OS does look to be capable enough (complete with a Webkit-based browser and Flash runtime), and the acquisition is especially interesting in light of some recent comments made by Motorola co-CEO Sanjay Jha. Back during Moto's Q1 earnings call, he said that he has "always felt that owning your OS is important, provided you have an ecosystem, you have all the services and you have an ability and the scale to execute on keeping that OS at the leading edge," adding that he continues to believe "that at some point, if we have all of those attributes, that owning our own OS will be a very important thing." Is Azingo Mobile that OS? Probably not, but it'll certainly be interesting to see where this leads -- as long as it doesn't lead to something called MOTOZINGO. The last iPhone OS 4.0 beta was a bit of a wash what with the Camera app constantly crashing, the ability to take screencaps mysteriously vanishing and the code overall being buggy as hell, but we’re really hoping out hope that the newly released beta 3 will be a heck of a lot better. We’re installing it on a few devices as we speak, but we’ll report back if we find any major changes. You’ll do the same, right? UPDATE: Apple has removed beta 3 from the Dev Center. We’ll try and figure out why. The Pantech Breeze II recently went on sale via ATT.com. This entry level flip phone costs $20 (after discounts with new agreement) and offers features such as a 1.3 megapixel camera with video capture, voice-guided GPS navigation, mobile email, and 3G. 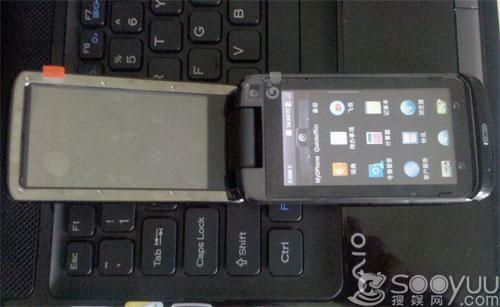 It also has Bluetooth and a speakerphone, support microSD cards up to 32 GB, and has dual displays. Customers can also choose to pay the full retail price of $170 to avoid any further contract commitments. Opera Mini launched on the iPhone a mere few weeks ago and the Apple handset has already has taken the top spot as the device with the most Opera Mini users, as measured by number of installs, in the US. The iPhone ousted BlackBerry, the previous reigning champ in the US, and is reportedly well ahead of its mobile competitor from Canada. Globally, the iPhone is in third place and is surrounded by Nokia and Sony Ericsson handsets which occupy 19 of the remaining top 20 slots. Not only a US-based phenomena, the iPhone is also top dog in the UK and has a strong presence in Australia, Korea, Canada, Germany, and Japan. Though impressive, these initial numbers may be boosted artificially by iPhone owners who download the app merely because it is new and noteworthy. It will be interesting to see if this trend continues as the novelty wears off.